All Delivered: Door Hanger Delivery: End of the World, or New Beginning? End of the World, or New Beginning? The end is near! As 2012 looms above our heads, getting closer and closer, we can't help but think about all of the exciting possibilities which a new year brings, NOT that the Mayan calendar "ends." The very notion that 2012 brings the end of the world is ridiculous. 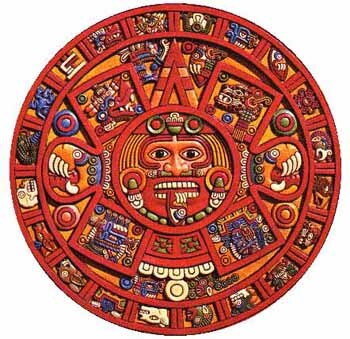 The Mayan calendar may "end" in 2012, but if you actually look at the calendar it is circular... does the line (or outline) of a circle really have an end? The answer to that question is no, it simply goes round and round and round... I think you get the general idea. Even if I am wrong, why would you want to live in fear that the world "might" end. Don't live for what may happen, live for today. Business owners, why not start the new year with a bang! Brainstorm fresh, new ideas for your company. The beginning of the year is a great time to start a marketing campaign. Reach out to your potential clients. Perhaps it might be a good idea to come up with a special event or sale. Get the message out about your exciting idea. If you would like assistance in getting your message out there, we are here to help! Contact All Delivered today about starting a new year campaign. We deliver flyer, door hanger, postcards, product samples, and other print materials door-to-door. For a free, competitive quote, call us today or visit our website today!